We've got our hands on some exceedingly rare woodland wildflowers for sale -- all native to the eastern US. These are first come, first serve, in limited supply! Many of these species have rarely seen widespread circulation in the nursery business before. Our supply is limited, so if you like what you see here, head on over to our shopping cart and snap yours up before someone else does! Click picture to view on our store. 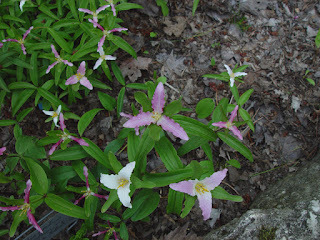 An extremely rare species of Trillium with flowers in white to soft pink and flowing, undulate petal margins. 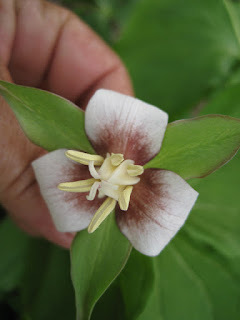 For as rare as this Trillium is, it's very easy to grow, and germinates easily from seed, reaching maturity quickly. One of the most unusual and beautiful of our native orchids. The flowers aren't much to write home about – small, white, but the evergreen foliage is absolutely gorgeous, dark green overlaid with a network of bright white veins. Easier to grow than many orchids, best in shaded woodland conditions. The iconic and elusive pink lady slipper. Not easy, but growable in the right conditions. Acidic, humus-rich woodland soil will be your best bet. Very rare. These are seed grown plants from a population collected here in Michigan years back. The land was slated to be cleared for a parking lot, but this selection was collected first. A very unique flower that loves to form strong clumps in the garden -- and something I don't think you'll ever find at another nursery. As for the name, the taxonomy is a little grey but it's now considered to be a hybrid between the northern T. flexipes and T. erectum. 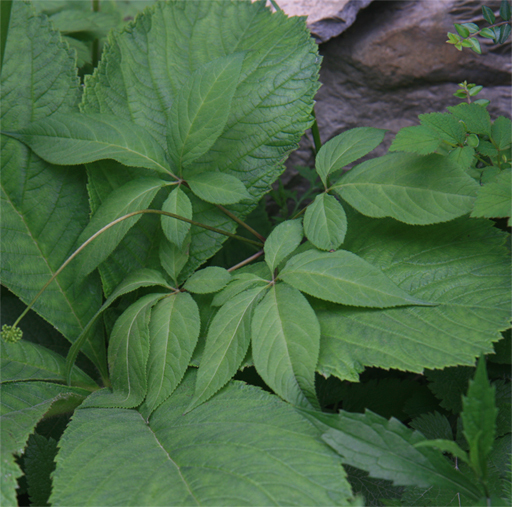 American Ginseng, much in demand for use in herbal medicine, and well worth growing for the very show bright red berries in the late summer and fall. 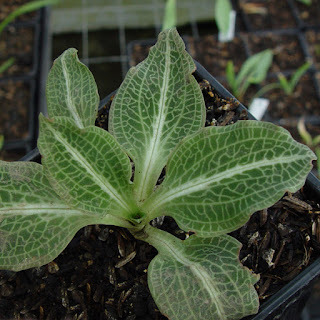 Becoming rare in the wild due to unscrupulous collecting, and very rarely available in nurseries because it is slow to propagate, so if you want it, snap it up, as this will be one of your few chances. All of these beautiful, rarely seen species are available here, at the Arrowhead Alpines online store. Spring is nearly here, and that means the time to get your wildflower orders in is now! We can guarantee that what we have on sale today, you won't find in your neighbor's garden, nor at any local garden center. Don't forget, while checking out these new specials that the deadline for placing an order for any of our BULK woodland wildflowers is rapidly approaching -- if you require Spring delivery especially. Orders for Spring delivery on the BULK wildflowers must be placed before March 7th! It's a great time to bundle together an order for some of our bulk wildflowers and some from our rare limited wildflower sale. Click here to shop at Arrowhead Alpines!